It looks like X-Force, Gambit, and Doctor Doom are all shelved. Many were wondering how Disney’s acquisition of Fox would affect any of the current Marvel projects that are in development, and with the deal reportedly set to finalized in March, we may have lost three movies. It appears that Kevin Feige and Marvel Studios may have other plans of introducing the Fox Marvel properties to the Marvel Cinematic Universe, which could be a good thing in the long run. Feige and the studio have an excellent track record of bringing Marvel Comics to the big screen. Out of the three movies, it appears that Gambit and Doctor Doom are completely toast. Both projects have been in development for quite some time without any forward momentum. Gambit came close to starting production with Channing Tatum in the starring role. Since talks of the acquisition started happening, many believed there was a real possibility these movies would be shelved, so this shouldn’t come as too big of a surprise to anyone. However, X-Force is a bit of a different story. Deadpool creator Rob Liefeld responded to a post on social media saying, “Pour one out for ol’ X-Force. Victim of the merger. $800 million grosser easy.” This makes it certainly seem like the project is dead along with Doctor Doom and Gambit. However, as Liefeld states, the movie could be a huge success, following in the footsteps of Deadpool 2. 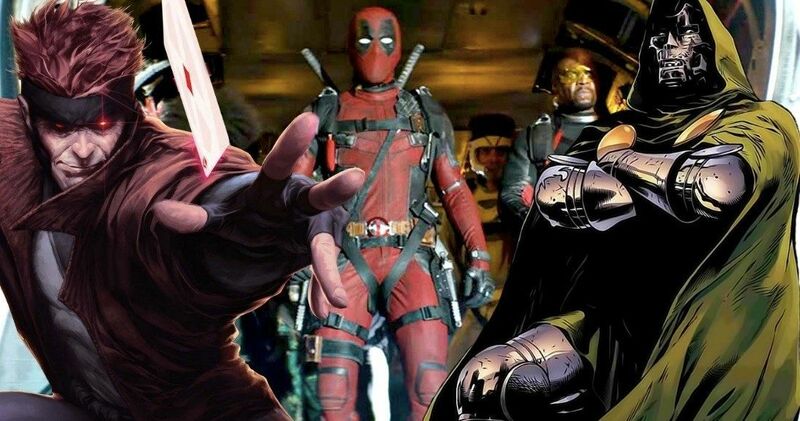 Ryan Reynolds has said in the past that Deadpool 3 probably wouldn’t happen and that X-Force would happen in its place. Disney CEO Bob Iger has also talked about his intentions of bringing the Merc with a Mouth over to Marvel Studios. If X-Force is really shelved, Marvel fans will not be very happy. Drew Goddard is on board to write and direct the movie, which would reunite Cable, Domino, and Deadpool together with either the previous X-Force featured in Deadpool 2, or a new cast. Considering that the sequel was one of the biggest movies of 2018, it would seem like a no-brainer to continue with the project. But, it’s unclear how Ryan Reynolds and crew would be able to work with Disney, considering that they work best under the R-rated umbrella. As for Simon Kinberg’s Dark Phoenix and Josh Boone’s New Mutants, those projects have wrapped production and will be unaffected by the Disney/Fox acquisition. Since the deal is getting ready to close really soon, it’s going to be very interesting to see how Marvel Studios brings in the former Fox Marvel properties and introduces them to the MCU. Even though X-Force, Doctor Doom, and Gambit appear to be shelved for now, Kevin Feige and crew more than likely already have a plan to get them back into development with their teams. This is a developing story and more news is expected to drop soon. You can see the tweet that sparked the news in the first place below, thanks to Rob Liefeld’s Twitter account.